one2free, Hong Kong’s leading mobile network operator with the first 4G mobile network there, has launched the Game Box cloud gaming service for its 4G LTE mobile network in Hong Kong. The service is powered by technology from Taipei, Taiwan based cloud gaming provider Ubitus. In particular users with the following Android 4G LTE devices on the one2free 4G LTE network and over Wi-Fi can currently enjoy the service: Samsung Galaxy S III LTE, Samsung Galaxy Note II LTE and Samsung Galaxy Tab 8.9 LTE. Users of these mobile devices need to download the Game Box App for Android from Google Play. 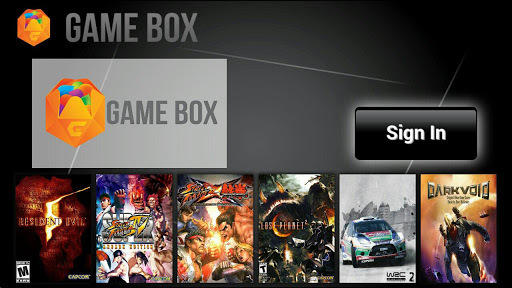 Game Box is a cloud-based mobile gaming service that brings console quality games to mobile devices in Hong Kong at a low fixed monthly fee. Delivered in high-definition and powered by the 4G LTE network of one2free, Game Box provides mobile gamers with flexible, on-the-go access to games in the cloud without the dependency on hardware such as CPUs and graphics cards required by home-based consoles. one2free customers can enjoy free trial access to Game Box for up to 30 minutes per game. Monthly packages will be introduced in the coming weeks and will be priced at HK$38 for 300 game coins or HK$15 for 100 game coins, with the option to purchase top-up credits. Through Game Box, Hong Kongers can now access a wide array of game titles on their mobile devices including favorites such as Resident Evil 5, Super Street Fighter IV: Arcade Edition, Street Fighter X Tekken, Lost Planet 2, WRC 2: FIA World Rally Championship, WRC 3: FIA World Rally Championship, SBK Generations and Dark Void. These are games from publishers Capcom and Milestone. Over 20 titles are available at launch with a further 40 titles coming in February. This will be followed by monthly new releases and multi-player online games. Since Game Box is geared towards mobiles, Ubitus has crafted some elaborate controls for the games being streamed from the cloud to gamers. Some clever touch controls are in use adapted for each game specifically, with some games even using the movement input and tilt of the mobiles. Some games work better with touch and some worse which isn't surprising as many of the games were designed with controllers and the classic keyboard and mouse control scheme in mind. The quality and latency of mobiles' touch controls is getting better and better, but the question remains if this will be enough for games that have complicated control schemes and were designed for physical controllers. "As mobile bandwidth quality keeps improving, there are tremendous opportunities to satisfy consumers’ demand beyond existing TV/movie streaming services on mobile devices,” said Derek Chim, co-founder and EVP of Ubitus. “Ubitus is proud to support one2free in bringing the first commercial LTE cloud gaming service to the Hong Kong market, and we believe users will enjoy the excitement and convenience brought by Game Box to the customers." “one2free delivers quality mobile entertainment through its investment in a fast 4G LTE network supported by the latest devices. On top of this, we continue to develop platforms that bring HD quality music and gaming to our customers”, says Joehan Martinus, one2free's director of Mass Marketing, “Now we can offer an exceptional experience in mobile gaming to Hong Kong with an accessible, console quality selection of games through Game Box on mobile devices for a fixed monthly fee”. “Our platform offers a seamless low-latency gaming experience that, because of our superior 4G LTE network, will be difficult for others to match,” added Joehan. The extensive hardware options were made possible by the recent upgrades one2free made to its 4G LTE network. These included doubling its 4G LTE cell sites for both 1800MHz and 2600MHz bands, as well as doubling its overall network capacity in high traffic areas and increasing population coverage to 95 percent. These updates, together with the progressive rollout of 4G coverage to most urban line MTR stations (and all remaining stations by January 2013), have helped ensure that one2free customers have the consistent network speeds and cloud storage access needed to make quality cloud gaming based mobile-gaming possible. Ubitus already launched a mobile cloud gaming service with GameNow for Verizon Wireless 4G LTE Customers in the US. Ubitus, also provides cloud gaming services through South Korea's LG U+ with C-games and Japan's NTT DOCOMO with G CLOUD. They have also partnered with NVIDIA and will use the NVIDIA GRID cloud gaming platform.